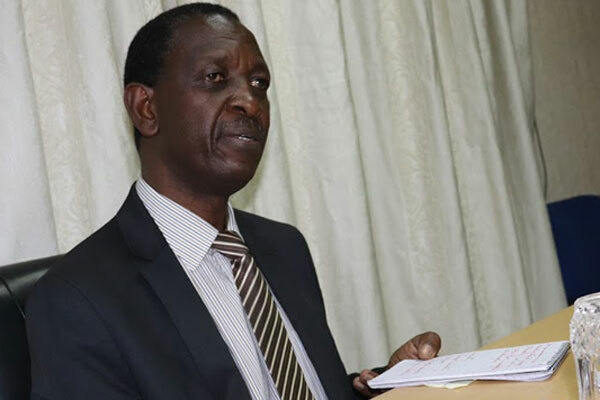 KAMPALA– The Director General of Internal Security Organisation (ISO) Col Frank Kaka Bagyenda has been dragged to court by three citizens seeking for orders to pull him out of office for being incompetent and unfit to hold any public office. According to the court documents filed before the High Court Civil Division, the trio who include; Bonny Akol, Kenneth Kugumaho and Ronald Tugume contend that Col Bagyenda unlawfully commands operations in which civilians are arrested, paraded before the press and cause their prosecution before the General Court Martial which was established only for purposes of disciplining errant army officers. ” It’s in our knowledge that civilian such as Hon.Kyagulanyi Sentamu, Kipoi, Abdul Kitata among others are currently being tried by the Court Martial which is a military disciplinary court meant to try officers of the UPDF yet civilian courts have jurisdiction to try them the very offences which they are charged of,” reads in part the court documents. The claimants also sued the Attorney General (AG) whose agents they accuse under the Internal Security Organisation of engaging in acts of kidnap and detention of Ugandan citizens in ungazetted places for detention for more than forty-eight hours contrary to Articles 23(1)(2), 28(1) (3)(a) and 23(4)(b) of the 1995 Uganda Constitution. They contend that the agents of AG under the Internal Security Organisation operate a safe house in Kyengera from where Ugandan citizens are tortured and the UPDF arrests and prosecutes civilians from the Military Court Martial,” read in part the court documents. They therefore ask court to order the Attorney General close down this and many other safe houses operated by ISO. The trio also wants a declaration that the acts of the ISO boss and AG’s agents are barbaric, improper and an abuse of the 1995 constitution and if not stopped by court will definitely result into a continued violation of the same constitution.